Virgin Australia and Jetstar cancelled all flights into and out of Bali on Friday and have a number of services for Saturday under review due to the ash cloud from the Mount Raung volcano. Passengers booked to travel on both airlines have been asked to check the status of their flight online for the latest information. Virgin said in a statement it would continue to review the situation and hoped to resume services when it was safe to do so. “A decision will be made by 1pm Denpasar local time (3pm AEST) Saturday 11 July on whether flights out of Denpasar will operate tomorrow,” Virgin said on Friday afternoon. “Once conditions improve, additional flights will be scheduled between Australia and Denpasar, to ensure we can have guests on their way as soon as possible. Bali’s Ngurah Rai Airport has been closed to all flights due to the ash cloud from the Mount Raung volcano. 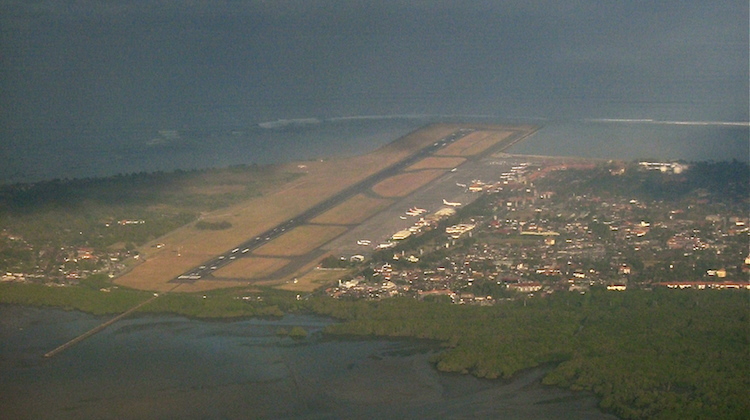 “Due to theclosure, all flights both arriving and departing from Ngurah Rai Airport will be cancelled until further notice,” Bali Airport said on its website. The airport was due to reopen at 2130 local time on Friday night. Meanwhile, Jetstar said it would continue to monitor the situation with the Volcanic Ash Advisory Centre in Darwin and update customers should further cancellations be necessary. “We would like to thank our customers for their patience and understanding regarding the disruptions caused by the volcanic ash in Indonesia,” Jetstar said on its website. Meanwhile, Air NZ said its Saturday afternoon service from Auckland to Bali has been pushed back to early Sunday morning due to the ash cloud. “NZ245 was scheduled to depart Auckland at 4.30pm Saturday 11 July. This service has now been rescheduled to depart at 3am on Sunday 12 July, weather and ash conditions permitting,” Air NZ said in a statement on Friday. Just watching some news on this on ABC24.He used the BA 747 incident from some years ago as an example of what can happen……””when all seven engines shut down””.Where do they get these morons.Surely some very basic research may have helped. I know a lot of airlines these days wont let their aircraft near volcanoes for the damage that possibly might occur,And void any warranty on the engines.So what about the other airlines flying in and out of Denpasar airport.They have new aircraft..Have they all stopped too i wonder? Daryl I heard the same thing on the ABC. Must have thought it was a B52!